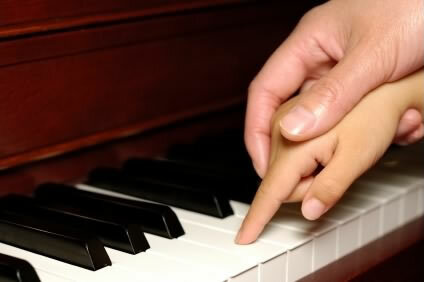 Learning piano is a very challenging experience and it could be very overwhelming as well. A lot of people want to play piano, but not everyone can make this dream come true due to different circumstances. Playing piano seems to be a daunting task for most people, especially for beginners. However, it’s very likely for anyone to learn how to play the piano, and there will be no better way than starting from the basics. If you are interested in learning piano, here are some tips and tricks that might be of help to you. The first several weeks can be hard for you, and you will be probably you tempted to quit. Don’t! Learning piano is a very rewarding and beautiful experience. Keep your spirit up and you’ll be rewarded with a lifetime enjoyment. Consider how you will be able to learn the piano. From a music instructor? If this is the case (which we strongly encourage! ), you should look for the most reputable and reliable music teacher in your area. There are lots of electronic devices that can be of help to your learning. Most of these devices are very effective in guiding you through your learning path. There are also lots of software programs online, which can enhance your learning experience. When it comes to piano technique, you will encounter a lot of options. Our recommendation is to keep your interest alive and build up a great knowledge on the subject. Watch documentaries, learn the history of piano, listen to all time favorite contemporary or classical pieces, watch many videos of great musicians. If you understand French, this French piano website is a great source of information. It is crucial to dedicate time to your practice and to establish a solid practicing regime. You should stick to it as much as you can. No excuses. Set your schedule and practice playing piano for at least one or two hours a day. Don't skip important steps! Start learning piano with easy pieces. Try to learn something by your favorite composers. Even if your main goal is to learn how to play modern music, keep on striving to learn challenging and excellent classical pieces: you’ll soon be playing lots and lots of contemporary songs easily. Another thing that you should never avoid, especially as a beginner, is the ‘finger practice’. Exercise all your five fingers, play slowly and try to give balanced volume to the notes. Don’t flick fingers; try moving them in a steady and downward motions. You can only enhance your speed once you can actually play steadily with great control. Train your ear! Listen to a lot of good music! These are just some of the basics that you need to know that will help you when you start playing piano. If you really want to begin to learn the piano, visit this section of the website to arrange your first lesson with a teacher in your area.